Our stunning collection of historic properties will entice anyone seeking a unique get-away. 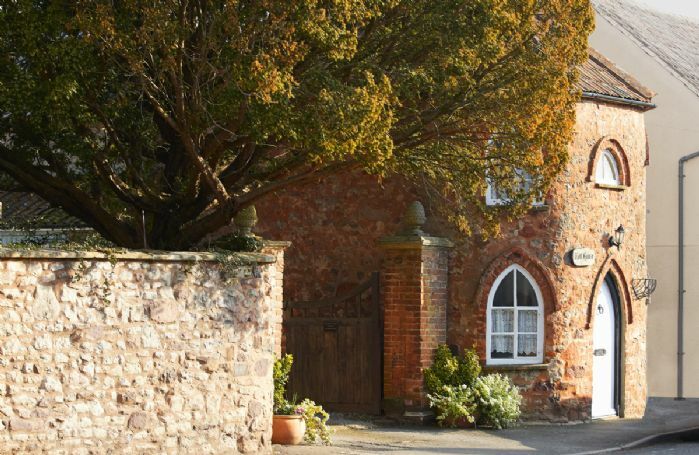 This assortment of 17 beautiful properties caters for groups of all sizes, ranging from a romantic 2-guest Victorian hunting tower to a 24-guest Grade I listed fortified manor. Each of the properties has been beautifully restored to reflect its former glory and features charming historic details and building work to make your retreat especially memorable. The properties retain beautifully characteristic exteriors and are all tastefully appointed. Each of the historic properties is furnished and decorated to the highest standard and provides all you will need to self cater with ease. Many of them still feature original details such as flagstone floors, oak ceiling beams and open fire places to excellently combine comfort with charm. Often hand picked for their fantastic countryside location, many of our properties are situated within easy access of local attractions. There is always ample to see and do, whether it be exploring the ancient parkland, historic gardens and protected landscapes or visiting nearby historic houses and heritage sites. Tiny quaint cottage - it was like stepping back in time to a very peaceful village in proximity to the wealth of the English countryside. Lovely quiet location, everything you need for a break away from it all. Lovely quirky cottage in good location. Another wonderful review for the Toll House and Nether Stowey. Many thanks. We had a wonderful short break in the Toll House - beautifully decorated and maintained, with everything you could need including a really useful welcome hamper of bread, milk etc. The location is quiet but perfect for getting to various sights and attractions nearby - we loved Dunster and Kilve Beach. Thank you for a lovely stay! Fantastic little place which is perfect for a short break.. Excellent. Quaint, cosy and just what we wanted :-) Lovely basket of goodies (bread, biscuits, cereal, jam), milk, eggs, wine and cheese in the fridge. Lovely fire in the wood stove ready to light. Lovely bathtub too. There is no phone signal or wifi which provided a welcome break. The local pubs have it, if you feel the need to connect. Drove to Watchet and East Quantoxhead for a really nice day trip. Many thanks for all your thoughtful touches! We really like unusual properties and this fitted the bill. The village was perhaps a bit disappointing as there was a boarded up garage and a bric-a-brac shop that never seemed to open! That said we tried out all 3 pubs and found the staff and the locals to be really kind and friendly. Thank you for taking the trouble to leave a review of the Toll House. We are very pleased that you liked our quaint little property. Very cute, fun and interesting house. Very well equipped. Linen would have preferred cotton. Lots of interesting pieces in house some of them could have have been better dusted. No wifi which is a big minus. Thank you for your feedback for our dear listed former toll house. We agree it is cute and full of interesting things. I am sorry about the lack of Wifi which at the moment is not being considered. Thank you for your feedback. I have spoken with the owner who is extremely sorry you felt this way. As a property with slate floors and gothic windows it is always going to be dark but the owner is mystified by the musty smell and is investigating. There should be recycling boxes by the dustbins however twice in the past the boxes have been stolen so perhaps they have been taken again. They will definitely be replaced. Beautiful cottage, so quaint! Lovely sleepy village setting. The welcome hamper was ample and so generous - thank you! Lovely little cottage in super village. Owner responded very quickly when there was a problem with the front door lock, could not have asked for more. My parents loved the toll house that we sent them to. Sounds like it was little and cosy and a perfect little getaway. Thank you! A bigger bed would have made things more comfortable, lovely inside, pictures a little creepy. Don't think I would book a cottage without a garden again but did really enjoy the stay. Lovely historical property with charming features, shame there was was a lot of the cleaning apparatus on show such as the vac and mop bucket in the kitchen next to the fridge. Lots of locked storage for personal storage, in such a tiny property, a more stripped back approach to storing would have been better. Could be at risk of feeling like you've borrowed someone's home rather than being in a holiday cottage. Really comfortable bed and beautiful bathroom and fire places. Really nice location for walking. Quantocks well worth a visit. Overall a really pleasant holiday, thank you. The cottage was well equipped generally, remote on the telly didn't work properly and the dvd opened when it felt like it! I think the lack of parking and the hit and miss chance of parking near the cottage should be made clearer. All round a very pleasant property but all things considered, very expensive for what it is. FROM THE OWNER ~The DVD player has been replaced and the tv remote has been sorted. Bank Cottage is a lovely house in a fantastic location - close to Moreton-in-Marsh, Stow-on-the-wold and Bourton-on-the-Water. The property was clean, comfortable and cozy. We appreciated that the fire was set up for when we arrived, and we enjoyed the welcome basket of food and drink that Rural Retreats left at the property. The kitchen is very well equipped. Parking is on the street but we didn't have any difficulty parking 3 cars. Highly recommend the Coach & Horses pub opposite. Food was really good and plenty of choice. I would recommend the property and would definitely stay again. Grazie mille per la tua recensione. Siamo lieti che tu abbia trascorso una bella vacanza al Bank Cottage. We adored the countryside, a great place to walk the dog and great to stay in a dog friendly cottage. The kitchen is in massive need of an update, the plastic on the fridge door is not properly working and therefore doesn’t hold much. I would have thought that at 1000 a week they would give the place a bit of a refurb. Felt too expensive for what we got. FROM THE OWNER ~ The plastic on the fridge door was broken during your stay and the fridge freezer has now been replaced. Beautiful village and lovely position but needs updating especially upstairs. Except for the very strong fire/smoke odor from the fireplace downstairs, everything was perfect. We enjoyed our stay VERY much! Beautiful property in a delightful, perfectly situated and picturesque village. Very well managed by Rural Retreats they certainly seem to have thought of everything. The cottage is very charming, a little small in places (the en suite shower requires some acrobatics) but comfortable. Loved the garden where we enjoyed morning coffee and afternoon dinners. Stones throw from the pretty but mediocre village pub. If you have the opportunity check out the Longborough Festival Opera on the edge of the village, an amazing and unique experience. We would definitely recommend Longborough, Bank Cottage and Rural Retreats based on our stay and look forward to our next holiday! Bank Cottage was welcoming, well located, and beautiful. The beds were comfortable, the kitchen was nicely stocked and commodious, and the front yard was a great place to gather when the weather was fine. We enjoyed our stay immensely. Thank you, too, for the welcome hamper. Amazing! Lovely cottage with everything you could possibly want for a stay away including a thoroughly impressive welcome hamper full of locally sourced produce. A quaint yet welcoming village with a friendly pub serving delicious food. The cottage was lovely and the extras (hamper, wine, toiletries) were a very nice touch. The only negative was that there was quite a lot of dog poo in the garden on arrival, which was a shame. I am pleased that you thought Bank Cottage lovely but really sorry about the dog poo. We provide poo bags and our housekeepers always check the gardens on a changeover so it is very disappointing that this happened and I do apologise. Well equipped and tastefully decorated accommodation, up to the usual Rural Retreats high standard, which made for an immensely restful and relaxing get-away thoroughly enjoyed by adults and children alike. Thank you for your kind comments about our housekeeping at Bank Cottage. I am afraid that we are not able to provide a door stop for insurance reasons. Much of the parking in Longborough is on-street due to the nature of the village and we do say on our website - 'Access to Bank Cottage is via the village green which during certain weather conditions may become slippery'. This cottage is in a superb location. The accommodation is beautifully equipped and immaculate . The only disadvantage is that the bathroom is very small and could do with an extra shelf. That aside it is a very pleasant place to spend a few days. 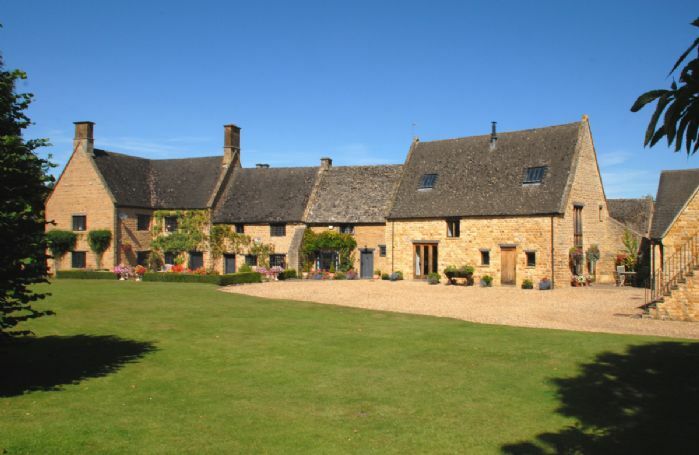 A lovely cottage perfectly situated to explore the Cotswolds. Clean, great hamper on arrival and very accommodating - even had a travel cot and high chair for the baby. council roadworks using a jcb to pull up the road outside not disclosed when booking. Thank you for your feedback. I am pleased that you loved the location and that the property was good for children. I am sorry about the remote controls and the cooking equipment which we are looking into. Unfortunately we weren't warned in advance about the council roadworks and I hope they weren't too disruptive. The kids want to move there! We loved it. Spacious cottage, with everything we needed. The mattresses were super comfy, the location lovely and peaceful, and the hamper delicious. Ideally placed for investigating the Cotswolds. By the way we left a quiz game in the cottage. We played it once and now know all the answers, so we have left for the next family who visits. We are delighted you thought Bank Cottage was top class and thank you for all your kind words. Thank you for your review. I am glad you found the cottage comfortable and I note your further comments. The property is actually very cosy in colder weather and winter reviews have commented on this. Spotlessly clean, comfortable, warm, set in friendly village, it was everything we wanted in a holiday let. Thank you for taking the time to review your holiday at Bank Cottage. It's fantastic feedback and we appreciate your lovely words. We manage Bank Cottage from our office here in Gloucestershire. We'll pass on your feedback to the housekeeping team who prepares the cottage and welcome hamper for you.